social structure of human existence why it’s denied and how we interpret our reality and so on. Criticizing the Prime Minister false statement on the economic boom. despite there is a very high inflation and the currency is devaluing. Since they have the bad policy towards the sector. there is nothing changed, rather the living standard of the people is under poverty and the lives of the people become worsen from time to time. Society & community historical context of Purso (Nmesa) during Ferdinand Tonnies. How persons were disappeared & the creation of Germany in 1870 after a war between France & Purso. Following this the Prussian king William I appointed Bismarck and he crashed the socialist ideologies members. Then he proposed the Berlin conference in 1885 & the scramble of Africa begun. since that time all the consequences are the result of that meeting today in Africa. The central point is strong Germany during WWI and the Ethiopian kings’ historical context because Germany was the loser on the first world war from 1914-1919 and Ethiopia during lij Iyasu from 1913-16 was an ally of Germany then we have lost the Adwa victory over Italy even though we win the war strategically lost many territorial parts. Commentary after the course historical relations between Austria & Ethiopia context after the post-war how dictatorial regime extend (maintain ) their power by using values for the mass to their own interest. Commenting on the second state of emergency and the massacre of TPLF apartheid regime in Ethiopia and the people’s uprising and struggle will bring down the regime and cannot survive too long. Leading the team and presenting the synthesis if the ongoing situation in our country continue like these this will be the destruction and disintegration of our country because there is no institution which can prevent and control the situation , the justice and the police institution is on the side of specific ethnic group plus the role of media can aggravate the situation we can remember the situation in Rwanda the role of radio Mille Collines so OMN is igniting fire on the same level. First of all ,the election was free & fair as usual. Beside to this we have seen the Isaias Afewerki (Eritrean dictator ) and Ethiopian dictatorial regime situation the chaos are dramatically increasing and the Eritreans are strat mobilizing to denounce the dictator Isayas and also Abeye which is very good move so we have to keep fighting until our freedom. 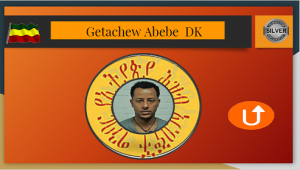 The Ethio-Russia has long historical relations especially in the previous military dictatorial regime (Derge) even before that when we look the Adwa war between Ethio – Italy war and the Derge final war they were stand with Ethiopians, when we look the current relations they are worried about the western power struggles in African soil so they also want to be appear as super nations like the others, and this relationships will benefited the regime since they are in a great need of financial & military support so as to continues as a dictator in General this opportunity will enables the regime to survive.